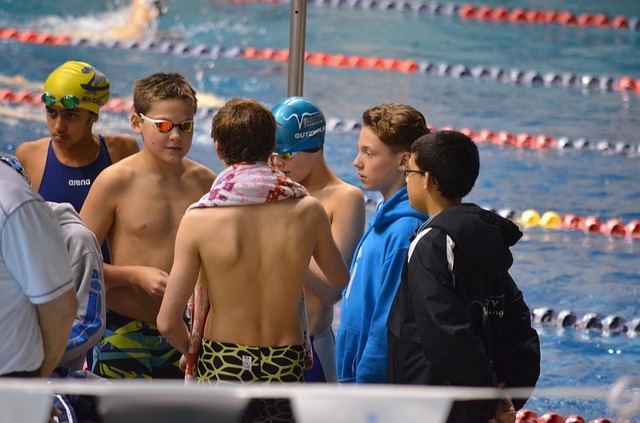 The Brandon Bluefins swim and compete together with one another’s support and dedicated athletes who work hard at their sport. Membership in the club is a social experience offering swimmers’ the opportunity to have fun, to learn the value of good sportsmanship and to make lasting friendships. Competitive swimming creates healthy young people who excel in all they do, from schoolwork to sports and develops life skills such as a strong work ethic, confident attitude toward life, time management and self-discipline. Our coaches have had extensive experience in swimming and in coaching. Our coaching staff is qualified, experienced nationally certified professionals who are dedicated to bringing out the best in each swimmer and to take the responsibility of working with your children very seriously. All of our coaches and instructors are registered with Swimming Canada. Coaches (Levels 4-6) complete and are certified under the National Coaching Certification Program (NCCP). Instructors (Levels 1-3) have either completed the NCCP or are certified under the Red Cross Water Safety Instructor program. The coaching philosophy strives to encourage progress according to the desire of each individual swimmer. Each athlete can devote as much time to training at the sport of swimming with self-motivation as the desired outcome. Helping athletes set short term and long term goals. Conducting term review meetings to plan, assess, review results, address concerns, make suggestions and if necessary, make changes. Keeping record of swimmers’ times and updating results for the Record Board. Communicating with the Brandon Bluefins Board and parents to address needs and concerns. Addressing behaviour concerns with parents if necessary. Providing information for any newsletter or the website. Helping promote a positive atmosphere. Staying up to date in regards to additional coaching training through conferences, videos, books, etc. Keeping a copy of the roster of swimmers, parents’ phone numbers, e-mail addresses and medical registration numbers, in case of emergencies. Teaching stroke instruction and training regimen. Making the final decision concerning which meets the swimmers are attending. Also, the coaching staff makes the final decision concerning which events a swimmer is entered. Supplying and supervising the warm up, after each race, and providing constructive criticism regarding the swimmers performance. (It is the parent’s job to offer love and understanding regardless of their swimmers performance). By contributing to our Club’s success being supportive and enthusiastic! Swimming is fun, but swimming is also hard work! Progressing and being competitive requires a high level of commitment to the sport. While you are competing against yourself (for times) and others at swim meets, it is important to remember that you are a part of a team. Support your team and members! Training sessions are the most important aspects of competitive swimming. Consistent training is needed to progress through classes and levels. Swimmers should attend as many practices as possible, in order to derive the full benefits of the program. Pool availability is our most limiting factor. Swimmers should be ready to swim 10 minutes prior to the start of their practice. Plan to stay the entire practice. If a swimmer must leave early, please notify the coaching staff before practice begins. Swimmers are encouraged to complete the warm up because it is an important part of the practice. The coaching staff should be informed in advance of an illness or injury. If your swimmer will be out of the water for an extended period of time, let the coaching staff know. As a swimmer’s level of ability increases so does his/her responsibility. The program is designed to encourage all swimmers to continue to University swimming. Swimmers need to prepare themselves for a 100% effort each time they come to practice. Swimmers are encouraged to bring their training accessories (swim cap, goggles, flippers, pull buoys, paddles, etc.) to practice. It is the swimmers responsibility to make sure these items are properly adjusted and that spares are available. Please, avoid equipment adjustments and repair so the swimmer does not miss part of the training session. Swimmers are not to interfere with the progress of another swimmer during practice sessions. In this circumstance, the coach will deal with the misbehaviour appropriately.